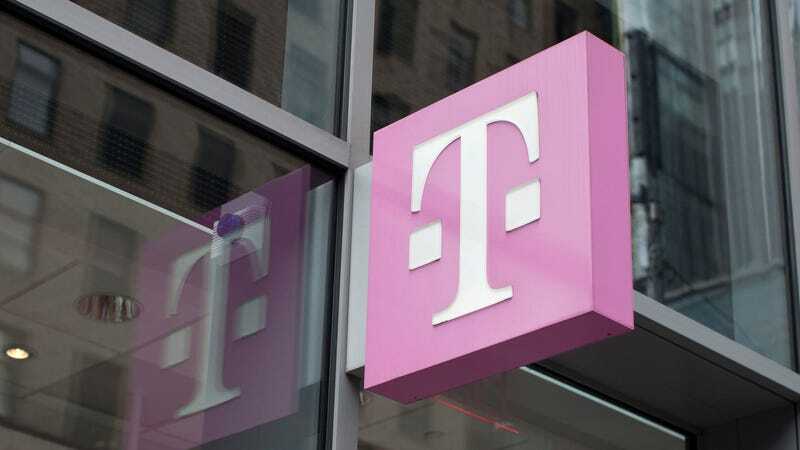 Deutsche Telekom—a multi-billion telecommunications company that owns T-Mobile, another multi-billion telecommunications company—is getting ready to throw its weight around in order to prevent a small business in England from using a shade of pink in its logo. The BBC reported lawyers from the T-Mobile parent company opposed a trademark application made by Brighton-based technology company DataJar because the company had the audacity to choose a shade of pink that kind of, sort of resembles its trademark magenta color. DataJar, a company that manages and deploys Apple devices for schools and businesses, has been in operation for five years and has seven total employees. It’s been using the same logo since its inception in 2013, but just filed a trademark application in January. Shortly after the filing, DataJAR received a cease and desist order from Deutsche Telekom. The order, per BBC, claimed the color magenta is “the core element of [Deutsche Telekom]’s corporate identity and one for which it is extremely well-known.” The company’s lawyer said that DataJar’s logo, with its own pink element, “could lead to confusion on the part of the public” who might believe the two companies with completely different names and shades of pink might be one. Deutsche Telekom also argued that allowing the small Brighton operation to use the pink logo could “dilute” rights and weaken its brand. “Our client finds it highly surprising that the [UK Intellectual Property Office] examiner allowed this application to progress to publication,” the lawyer’s letter read, according to The Register. It also requested DataJar “immediately write to the UKIPO requesting the deletion” of its trademark application. It’s unfair and it’s absolutely ridiculous. …If we were called D-Mobile or something like that and you could see the logo was in Times New Roman and obviously we were selling mobile phones or something like that…but we’re not. We probably have more Macs under management than anything else. Deutsche Telekom’s trademark, filed in 2000, gives it a hold over “Magenta (RAL 4010 telemagenta).” That is a single and very specific shade that, as The Register points out, is not at all the same as the official pink color specified in DataJar’s style guide. The small business is not the first to face the wrath of Deutsche Telekom and T-Mobile. The companies have a history of fervently defending its trademark shade of pink. T-Mobile filed a lawsuit against AT&T in 2013 when the competing telecom launched the short-lived prepaid phone company AIO Wireless because it used a pink-ish logo. It also went after Engadget in 2008 for using a magenta hue. Did T-Mobile Austria Really Just Admit It Stores Customer Passwords in Plaintext?